By removing the elaborate carvings Mogensen created his own interpretation of Islamic designs with his customary geometrical precision. However, he retained the most important feature, the broad armrests that give the chair its distinctive character. The armrests also serve as a practical place to place a cup or a glass. 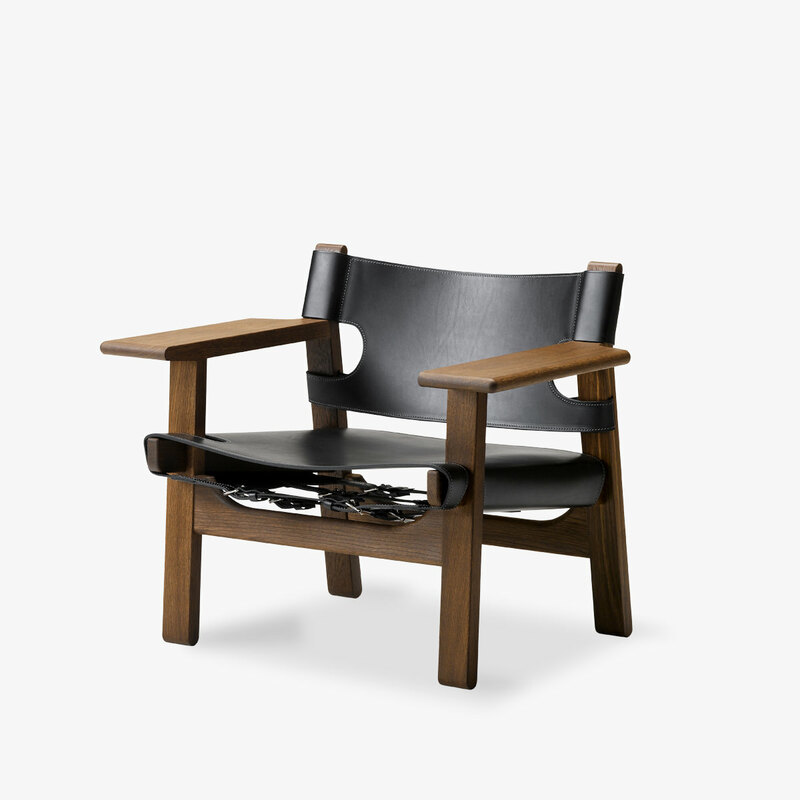 By designing the Spanish Chair, Mogensen proved that he did not need to use steel or plastic to be innovative. Like The Hunting Chair, it is made of oak and leather. This gives it a strong, masculine character, and ensures that the chair ages beautifully. The straps allow that the back can be tightened as the leather expands, which means that you can sit securely and comfortably in this chair from day one, and for the rest of your life.